Netflix has totally changed the game when it comes to television and movies, and especially when it comes to their original content. 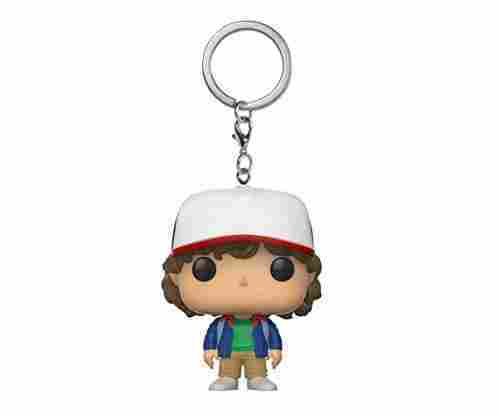 Do you know someone who is obsessed with Stranger Things? We all do - it couldn’t be more popular! If you know a super fan, getting them a Stranger Things themed gift is a great idea for their birthday or over the holidays! Are you not a fan yourself? Don’t worry. We have come up with this complete list of Stranger Things gifts that will help make your gift buying purchase a breeze. 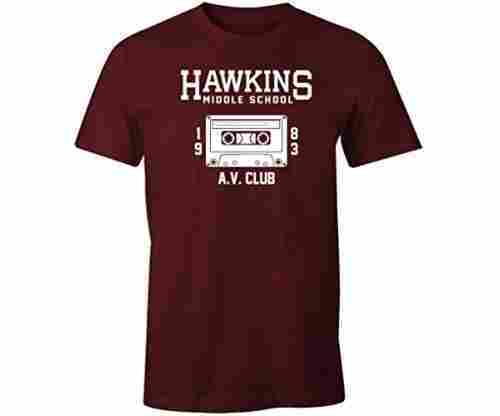 No matter who you are shopping for, if they have a love for the 80s throwback hit show, you have come to the right place. Check out our list and see what you find. And might we recommend - watch the show for yourself, but be prepared to clear your schedule so you can binge watch the series! You have been warned! 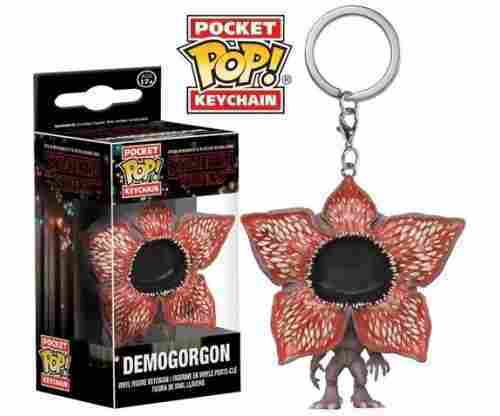 Shopping for the perfect Stranger Things gift? You don’t want it to just be a ten, make it an eleven! (see what we did there?) Keep these 10 things in mind while you shop! 1. Consider action figures - for all ages! 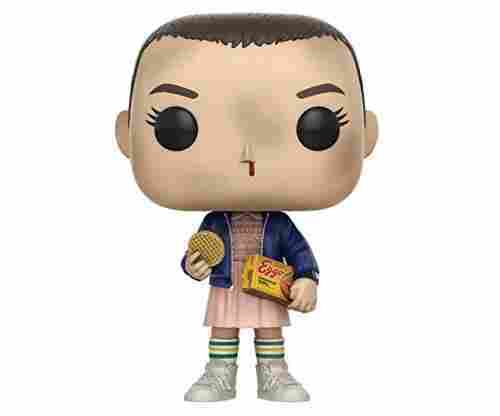 There are so many iconic characters from Stranger Things, and best of all, there is a figurine for all of them! While younger children may play with them, this is a great gift for older individuals who can add them to their memorabilia collection. Plus keep in mind, even though Stranger Things features children, it certainly isn’t a children’s show! Shopping for someone who also happens to love game nights? 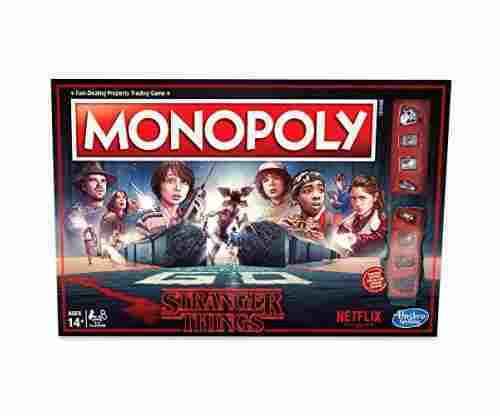 This is the perfect chance to get them a Stranger Things themed game! With all their favorite characters and locations from the show, this makes the game so much more exciting, even if it is a game that they have played numerous times before. Stranger Things take place in the 80’s, so channel the 80’s! Get them some vintage inspired clothing or accessories to make them easily feel like they are part of the show. 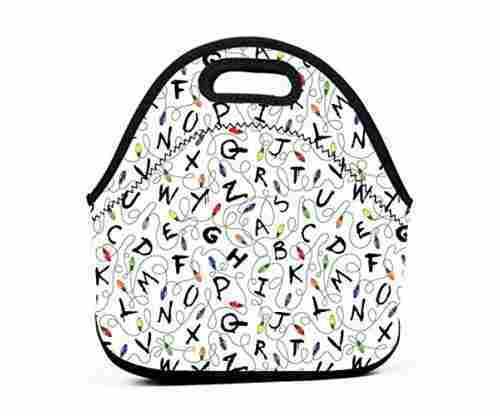 This is a great way to get a gift that references Stranger Things but isn’t a direct gift, perfect for the fan who already has all the Stranger Things items in their collection! There is a lot involved with Stranger Things, and so much more to investigate outside of just watching the show. Thankfully, there are plenty of books filled with knowledge and bonus info that any true fan will want to read up on before the next season arrives. Put their knowledge of the show to the test! TV show fans love trivia, as they get to show off how true of a fan they are. 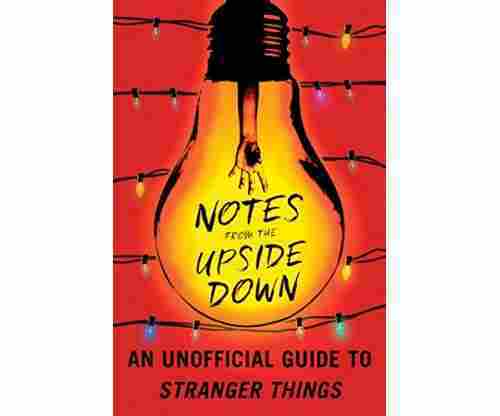 Stranger Things trivia will certainly put their brains to the test as the show is very complicated (hence the need for a book like we referenced above!). The logo is instantly recognizable, but what makes for a great gift is to use that logo style for a personalized gift! 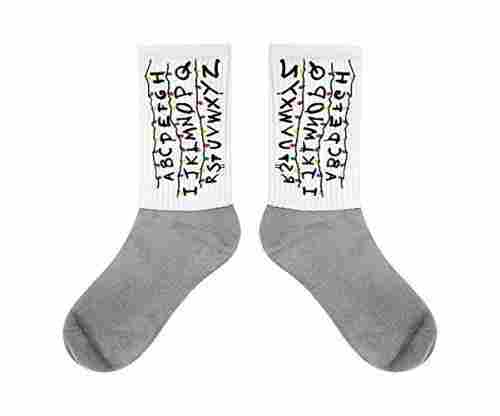 Whether you use it on a coffee mug or t-shirt that has a unique saying, or even just the person’s name, it is a great way for them to show off their love for the show in a unique way. Who doesn’t love a good pun? We’ve all heard it before - on a scale from 1-10, you’re an Eleven! 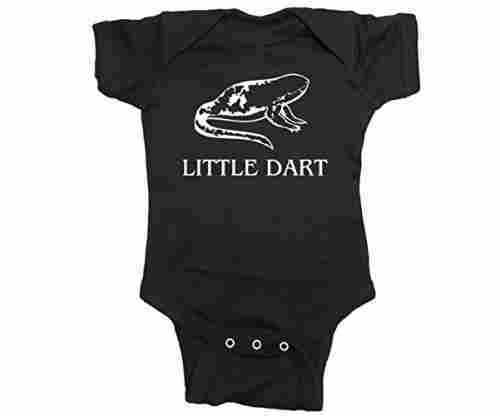 This is a great pun that makes sense to anyone who has watched the show and is a fun way to incorporate the show into your gift. 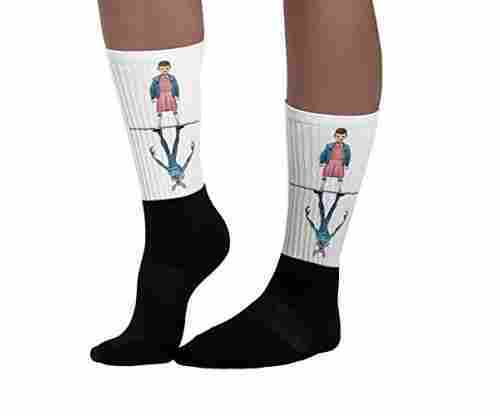 There are so many awesome, unique pieces of clothing out there that feature the Stranger Things characters, like Eleven, Barb, and Steve Harrington. There are also plenty of vintage style shirts and sweaters that make the clothing even more on brand with the theme of the show. Any true fan will be glad to wear these all year long! Anyone who says posters are out of style are wrong! Why not get a major Stranger Things fan a themed poster for them to hang on their wall? Whether it goes in their bedroom, movie room, or more prominently in the living room (for the really big fans), this is a great gift idea that they are sure to appreciate and have hanging in their home for years to come. Finally, if no gift jumps out at you, why not give the gift of an experience? Have you not watched the show yet? Offer to binge watch with them and let them share their love of the show with you - you can’t go wrong with this, and as an added bonus, you are sure to walk away as a fan of the show as well! Everybody wins! 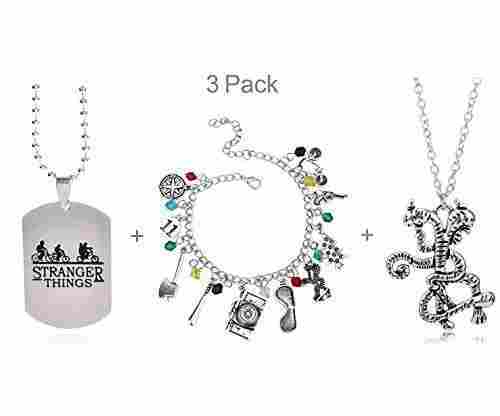 The Best Stranger Things Gift Ideas You Will Find Online! 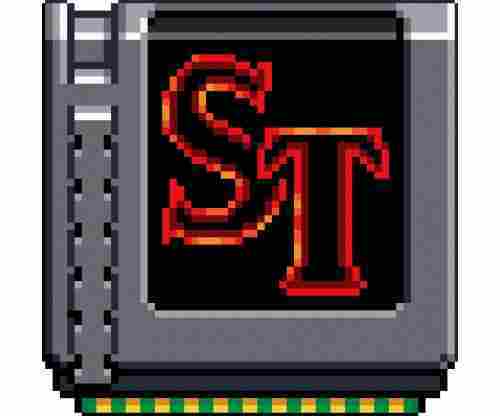 Stranger Things has everything you could want in a show - it takes place in the 80s (what a great decade), has humor, suspense, science-fiction, horror, and more! Complete with an excellent cast, it has become one of the most popular series to come from Netflix, and just in general one of the most popular television series that people just cannot get enough of. From quizzes to see which character you are, to bonus scenes, discussion boards, clothing, costumes, and more, this series has dominated pop culture lately. Do you know someone who loves the series? You likely do, and you may even be a fan yourself! 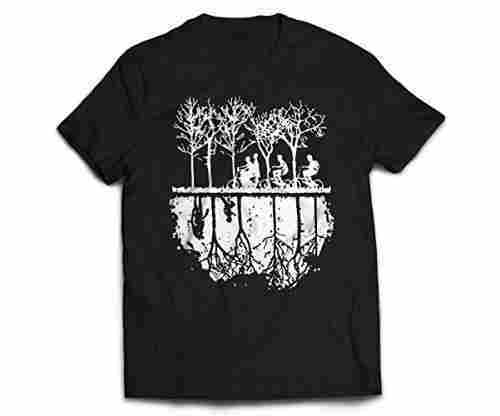 Did you know that Stranger Things is a perfect gift idea? It really is! There are so many Stranger Things themed gift choices out there, making it a great theme for a birthday gift (and also, a birthday party!) or gift for almost any other time of year. Since 2016, Stranger Things has been one of the most popular and talked about Netflix shows. With an awesome cast, unique storyline, and nostalgic feel, from the beginning the show had the perfect combination of features that make a show totally binge-worthy. We thought we’d round up some of the coolest little known facts (or should we say strangest facts?) about the show! From casting decisions, to filming tricks, and more, here are 10 facts you might not know about Stranger Things! Can you believe that? An impressive 1,213 kids auditioned to play the lead characters for the show! Clearly they did a great job, as the cast is one of the best on television. Better yet, they have all become such great friends over the years, so they clearly nailed the casting decision! Could you imagine the series without Eleven?? We know we can’t! Originally, the show was going to be more of a limited series (we’ll discuss more about that later) and to end the first season, Eleven was going to sacrifice herself. We are so glad that the show went in a different direction, and the show clearly is too, as she is one of the favorite characters! or the first season of the show, actress Millie Bobby Brown did in fact shave her head. For season two, during the flashback scenes, she needed to again have short hair, but the producers felt bad making her shave her head again, so they got creative! Using a combination of a wig and special effects they were able to recreate her look almost exactly to make the flashback scene look authentic. Apparently the process was pretty expensive, so they were thankful they only had to do it for a couple of scenes! How...strange. The show was almost called something entirely different and shot at a different location! Originally, the show was titled ‘Montauk’ and was supposed to take place in that very place, which is located at the east end of Long Island. This is partially due to inspiration that the show took from another show titled ‘Montauk Project.’ However, they eventually decided it would be too difficult to shoot the show there during winter and decided to have the show take place in the fictional town of Hawkins, Indiana. Wow, talk about getting help from one of the greatest authors ever! He actually saw Millie acting during her role on the British show ‘Intruders.’ He liked her performance so much he even tweeted about it, which helped her land the role of Eleven. Honestly, she is so talented we feel she would have landed the role either way, but the shoutout from horror master Stephen King certainly doesn’t hurt! 6. The character Eleven was inspired by E.T. That kind of makes sense when you think about it, doesn’t it? Not only does she have an actual homage to the alien in the first season when she dresses up in a pink dress and blonde wig, this was the overall inspiration for her character and how she was supposed to interact with the other kids. We think she did a great job, especially with her mannerisms and overall body language. She nailed it! We all know that the show takes place in the ‘80s, but what has really impressed viewers from the beginning is that the show really looks as if it were shot during that time period. Well, that isn’t your imagination! The show’s colorist actually adds a layer of ‘80s film grain to each frame to make the show appear more vintage. Like we mentioned earlier, the show was originally going to have a very different format. In fact, it was at one point going to be more of an anthology, where each season would feature a different setting and entirely different cast. Thankfully, the show realized very early on how special the cast was that they assembled for season 1 and decided to stick with them and continue their storyline. We know we are certainly glad they made that decision! There were a lot of new hairstyles during the second season, and based on the actors’ real hair, they needed to rely on a lot of wigs to achieve the exact looks that the show envisioned. Also, clearly plenty of wigs were needed while shooting the Halloween scene! Finally, seeing as the show became such an instant hit, the producers knew they would have to work hard to keep spoilers from being released. They made the smart decision to consult with some of the best secret keepers in the business - the producers for Game of Thrones! They helped give them great tips for keeping things under wraps, like coming up with code names, and requiring people to destroy their script pages so that they wouldn’t be found and leaked.